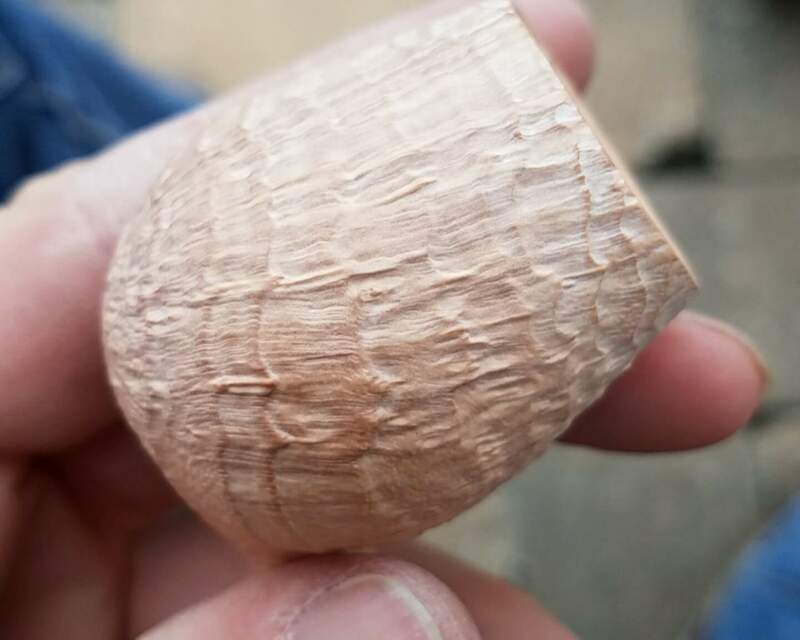 So, a dozen or so emails later we have an almost finished pipe. 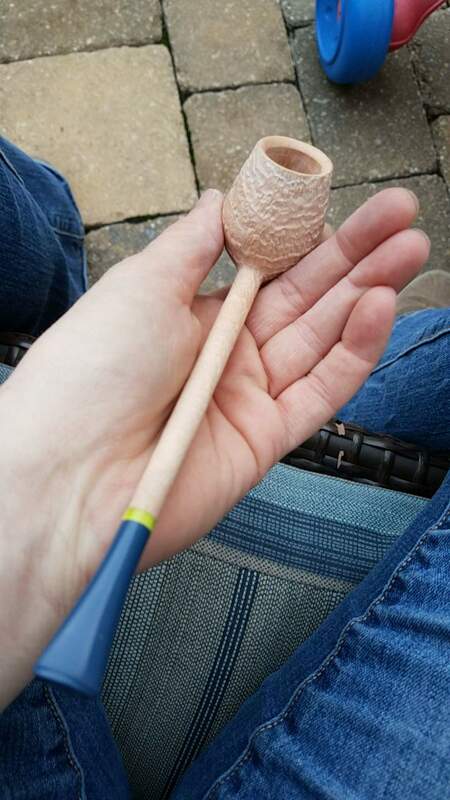 Here's some of the many work in progress pics she was gracious enough to send me (so as to keep me salivating, I'm sure). The details are: Scottie series. 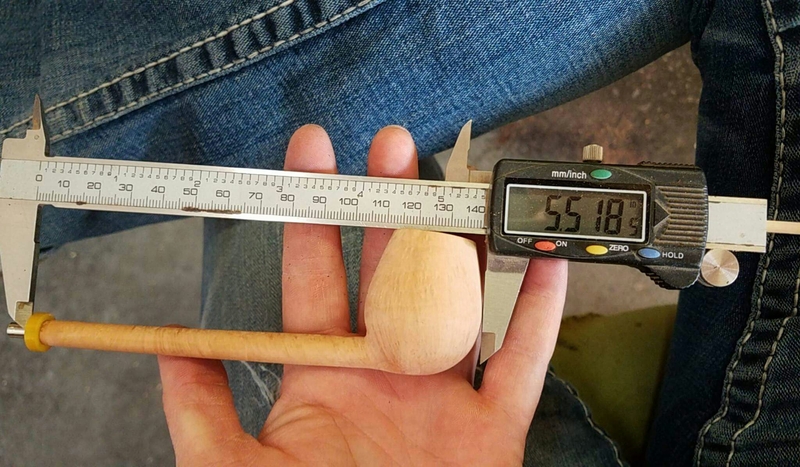 7" oal. 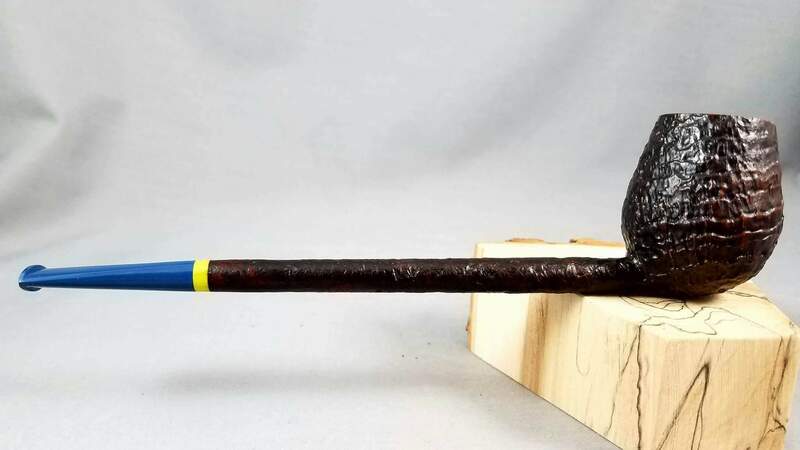 1.5" x .75" Chamber. Dark, dark sandblast/yellow swirl Bakelite ring/denim blue ebonite stem. The shape I wanted was a minimally tapered brandy or like..a billiard/egg hybrid. Luckily, Ladybriar knew where I was going and did a helluva job rendering what I was trying to communicate. Only a few finishing touches left. I should be puffing along merrily by the end of the week. Beautiful pipe. I love seeing the pics of the process. I've been an ardent knife collector for many years, so custom knife commissions are nothing new to me. 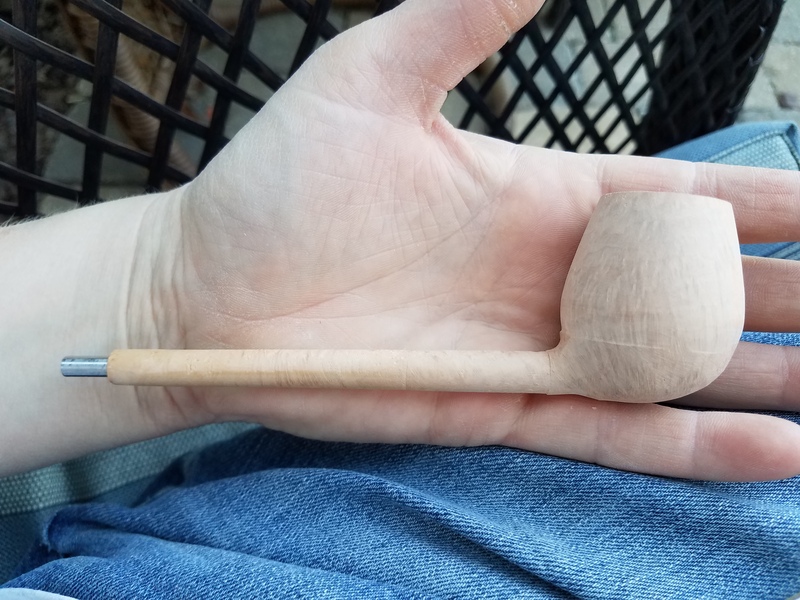 Pipe-wise, this is my first. Very similar procedures. Worrisome too, because I know this won't be my last. I already have another idea planned for Scottie to bring to life. Wow congrats. 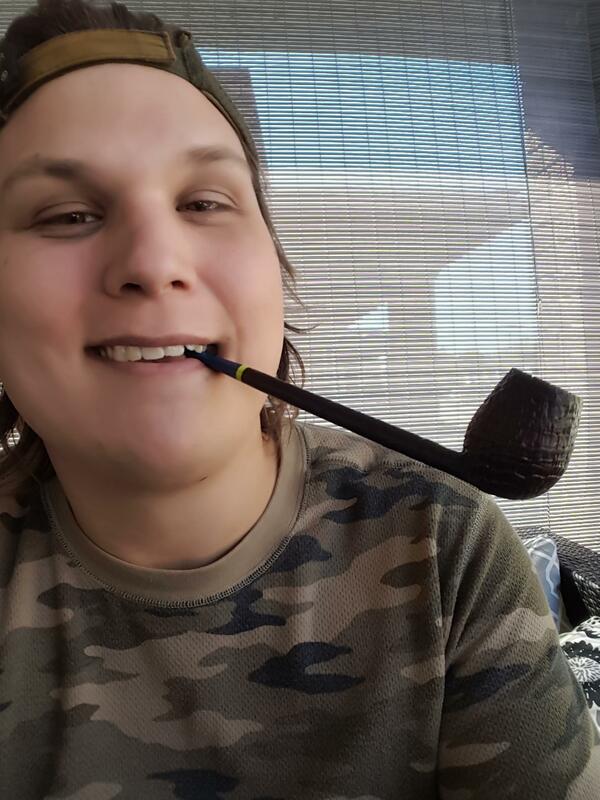 That's a beautiful pipe. Scottie never disappoints. 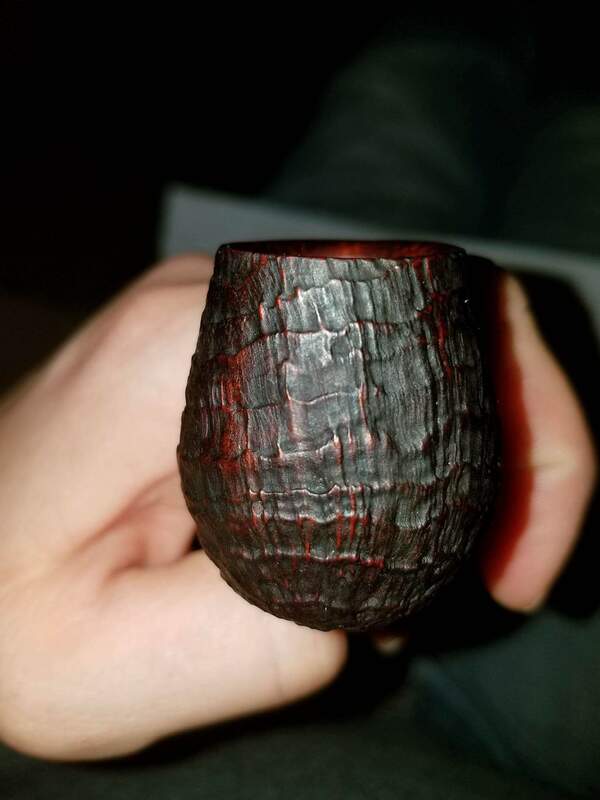 Gorgeous pipe. I can assure you the bug will bite you again... I know from experience. Looks to be a great hand filler, and a wonderful texture. 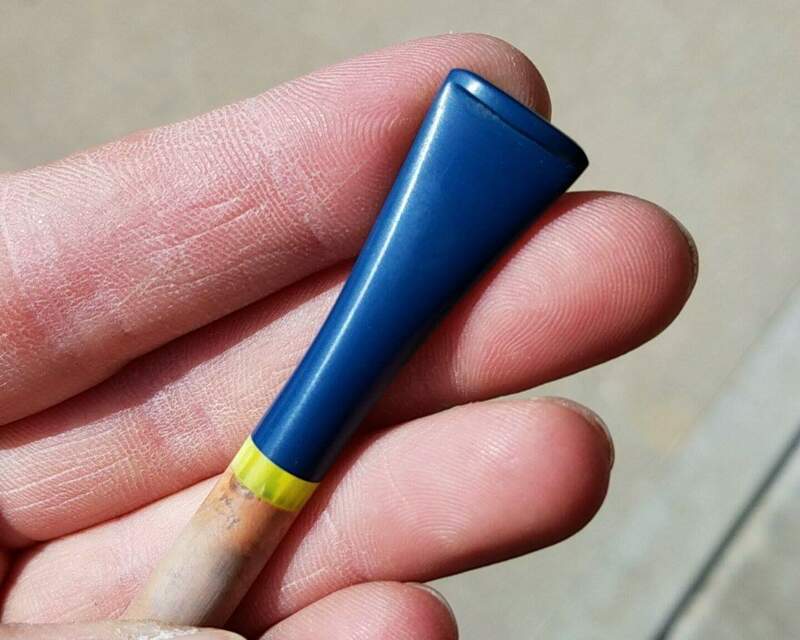 Have never seen blue ebonite before, and it compliments the yellow Bakelite very well. Next year will be my seventh Bruce Weaver commission, so from experience, you're screwed. Once that bug bites, it don't let go. 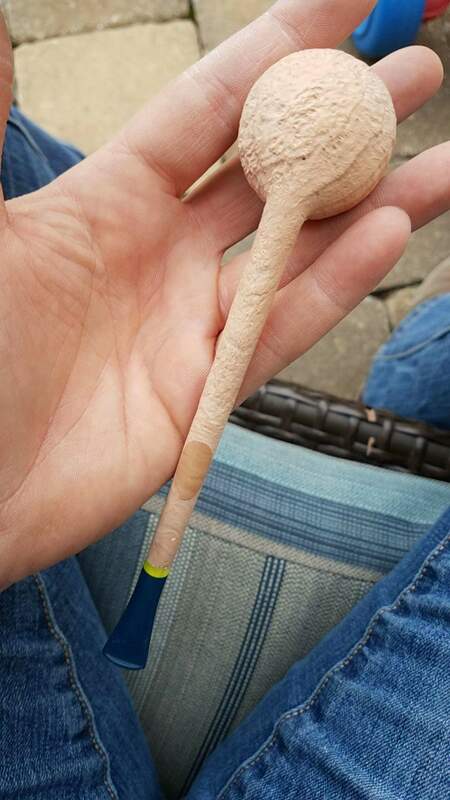 Very nice pipe. 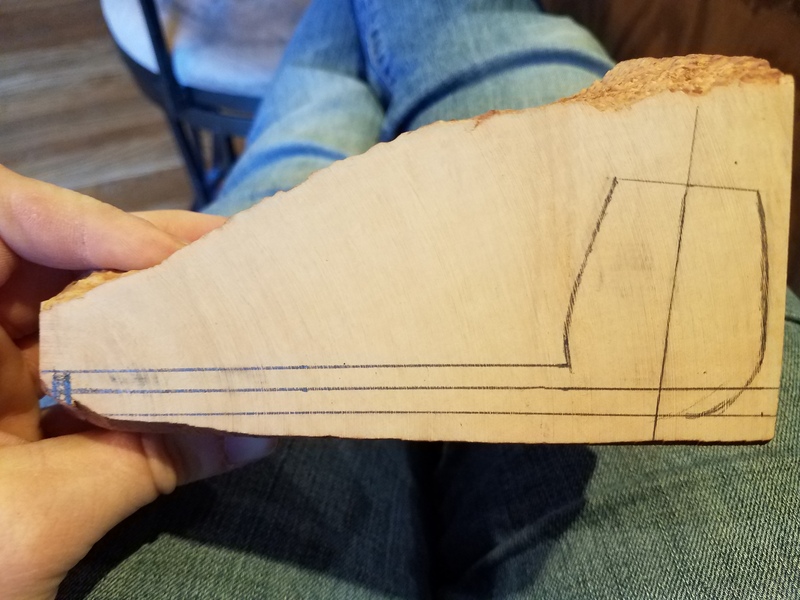 Scottie can really carve. 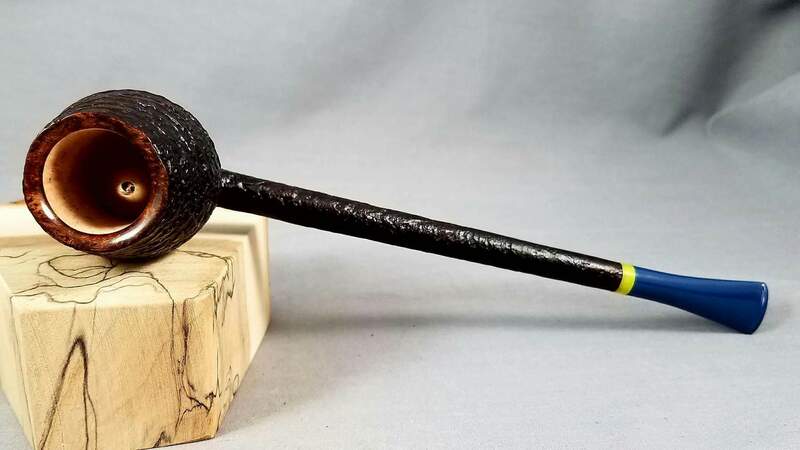 Inaugural smoke will definitely be from another Kansas City Pipe Club member.. Either McClelland St James Woods or Blackwoods. Both are staples in my tobacco rotation, and both are "oily" flakes that make tremendous cakes. Oh, my that's one gorgeous piece! I got a Scottie at the LV show, and will post pix when I get a chance. I am still in LV, home tomorrow. 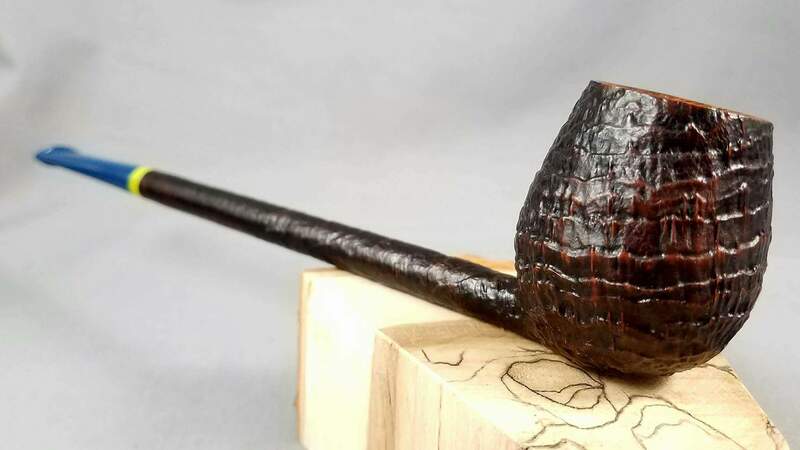 Scottie DOES know how to carve a great pipe! Congratulations! And by handling one in person, you understand that photos don't do justice to her work. Delicate, elegant, wonderful stuff. A bucket lister, for sure. Man that has my PAD itching! And one more highlighting the lovely chamfered rim. 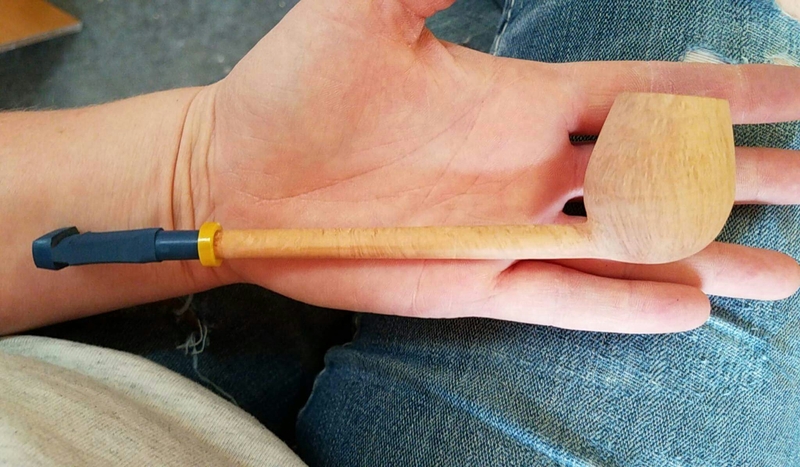 I just love a woman who knows how to use a vernier caliper - and who creates beautiful pipes! There's a lot to like there! The stem work/color and that beveled bowl top are really great details that make it sing. Yes, that's a splendid piece! 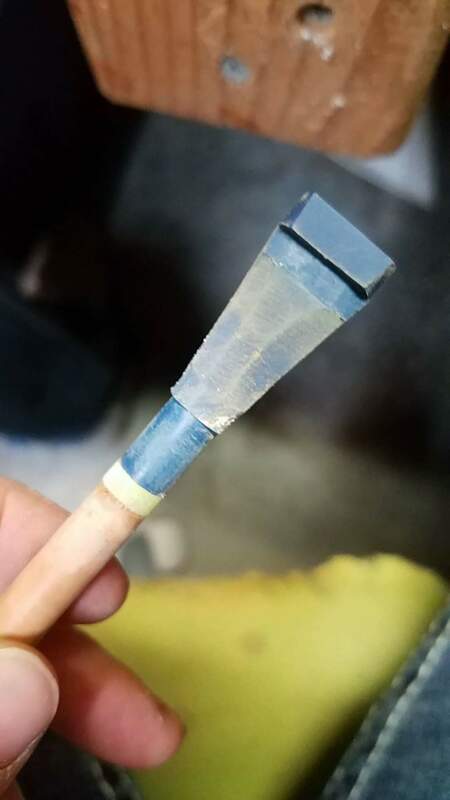 Scottie has a video clip on her instagram and fb where she shows how to hold her pipes to remove the stem, fyi. I would also add that the stainless steel tenon will get dirty over time. 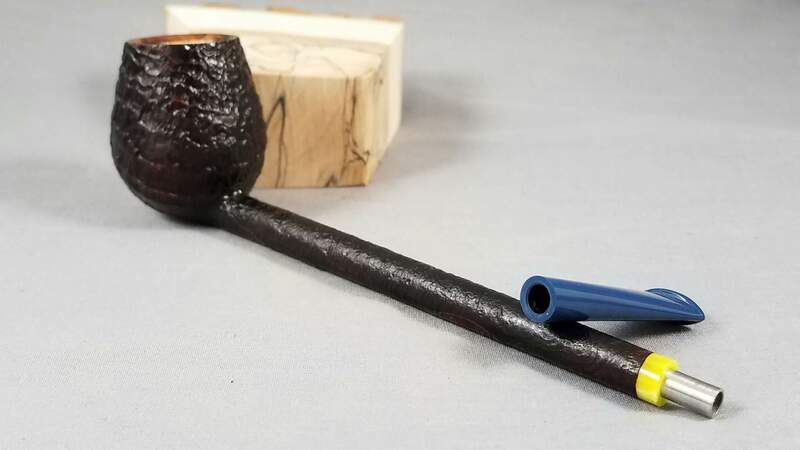 To keep the fit of the stem as it should be just give the tenon a bit of a buff when you clean the pipe. 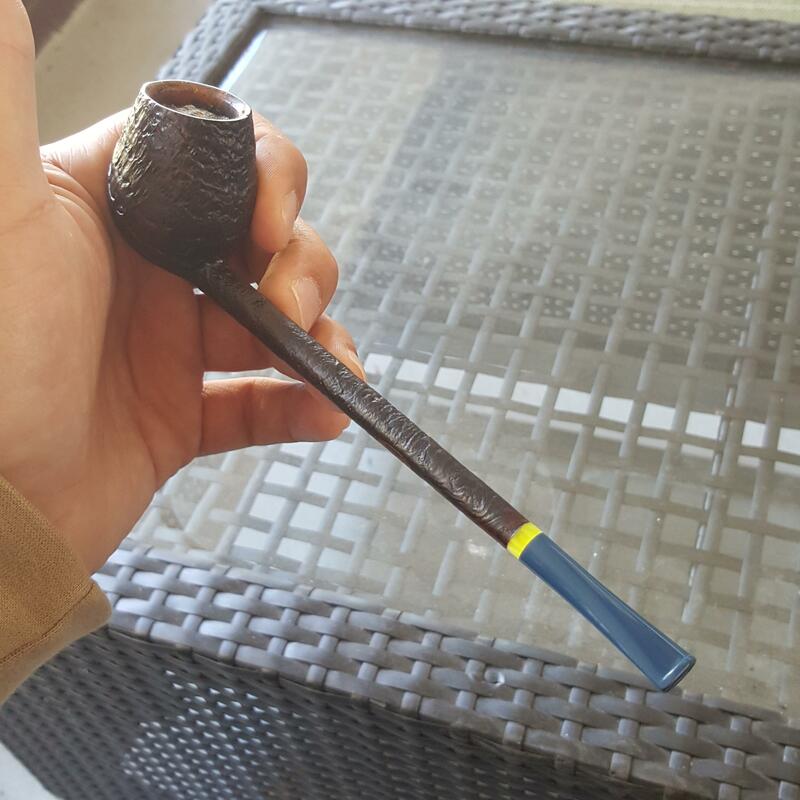 @jpmcwjr- I sent you a pm regarding your pipe. Thanks, Scottie. A quick perusal didn't reveal a video for the how to correctly remove the stem. Have you a direct link, please? I don't really need to take her apart for sometime, just wanted to see the excellent construction! Nice !! 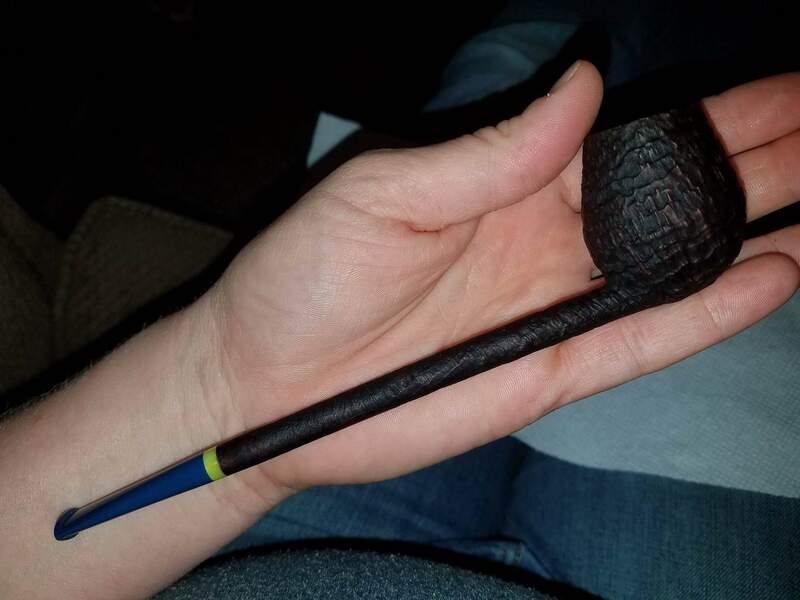 I love that pencil shank and that stem !! 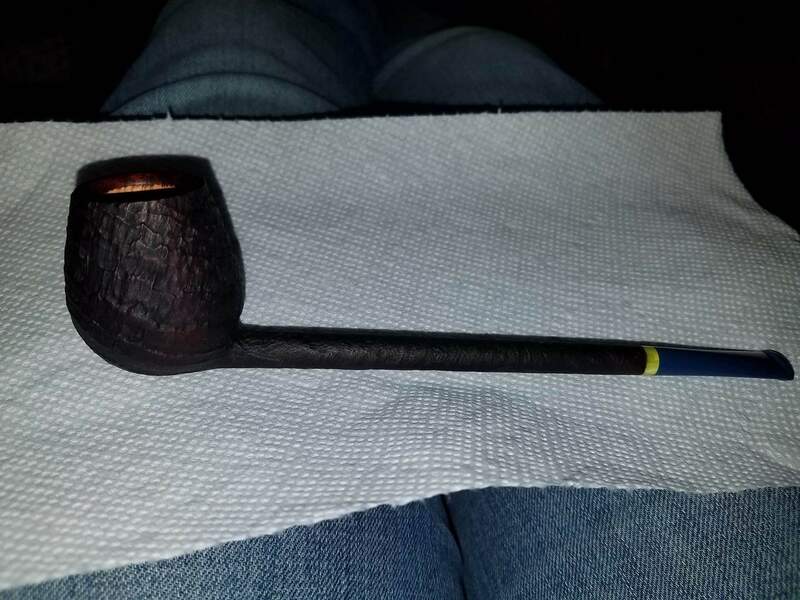 Hey jpmcwjr, go to the "Piersel Pipes" fb page. The video is on there. Thanks, Brian. Did hit the FB page, just didn't look long enough. Well bigpond, there are few dummies as big as me. Oops! I just reread what I wrote and I think it's easy to misconstrue. Just to clarify I meant a mannequin head. Scotties Pipes give me brain boners ! !